Welcome to episode 9 of The Red Pill Initiation Hour. 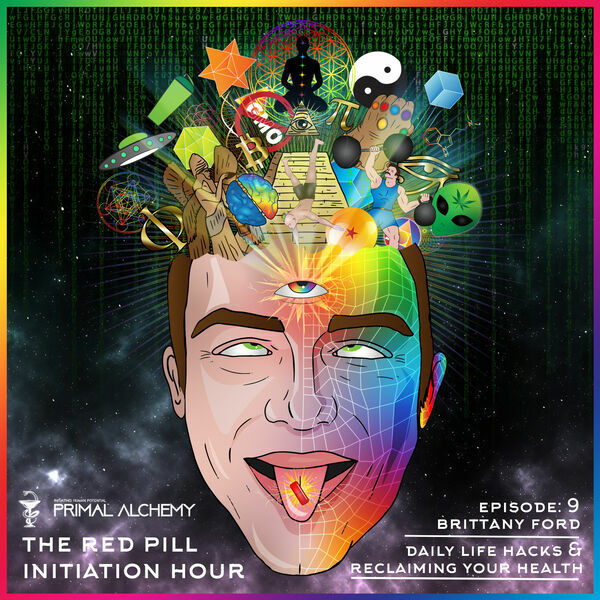 Join Primal Alchemy's creator and director Chris Storey with guest Brittany Ford as they explore Brittany's top daily life hacks that can be easily integrated into one's life without falling into the easy trap of being over consumed with biohacking. On this episode Brittany aka BiohackingBrittany takes you through her own personal health journey breaking down how the western medical paradigm failed her and her own health issues which ultimately lead her to pursue alternative naturopathic remedies and introduced her to the world of biohacking. Chris & Brittany then discuss daily life hacks that can be easily implemented into even the most time demanding of lifestyles. From caffeine addiction, to the benefits of a simple walk down the beach during sunset, listen to mind opening ways to truely empower yourself and reclaim your health. All of this and more on episode 9 of The Red Pill Initiation Hour. DISCLAIMER: 100% chance of waking up your third eye and becoming WOKE AF. All content © 2019 Primal Alchemy's Red Pill Initiation Hour .